The 2015 Toyota Prius isn’t one of the best-selling hybrid cars by coincidence. Toyota manufacturers and designers had a leg up on everyone else in the segment because they were innovative enough to think outside of the box. The Prius was the vehicle to revolutionize the automotive industry into thinking on its feet and thinking about the future of both the industry and the environment. The Prius was one of the first popular hybrid vehicles and it paved the way for future vehicles in the segment, but to be honest, there’s nothing quite like the Toyota Prius. The 2015 Toyota Prius Brampton ON is no exception, and in fact, we like to think the Prius only gets better with age. For the new model year Prius, drivers will still see its iconic, aerodynamic shape but they will also notice a few changes in its power, handling and efficiency. For example, the 2015 Toyota Prius now comes in eight different colors, five models and even comes in a larger model, the Prius V, and an all-electric model. If you want to truly make a change that will impact not only yourself, but your family and the environment for many years to come, get a Prius. We know that’s a bold claim, but it’s true. Once you check out the 2015 Toyota Prius Brampton ON, you won’t be able to look back. The incredible thing about the Prius is that even though it is so small, compact and efficient, it is extremely safe and has even been awarded the coveted Top Safety Pick Plus rating by the Insurance Institute for Highway Safety. One of the safety features that really put this vehicle over the edge in terms of safety features includes the Head-Up display, which displays essential vehicle information such as speed, fuel levels and navigation on the windshield so the driver does not have to look anywhere else but the road ahead of them. Another safety feature we love is the standard rearview backup camera. While this is becoming a more common standard feature in most makes and models, Toyota was the first automotive manufacturer to include a rearview backup camera standard in almost every single model across the board. The 2015 Toyota Prius comes standard with seven airbags, a lane-keeping assistance system and a vehicle proximity notification system, which emits a sound for pedestrians and bicyclists to hear when the Prius is traveling on electric power and a speed of 15 mph or slower, because at that speed, many are unable to even hear it! 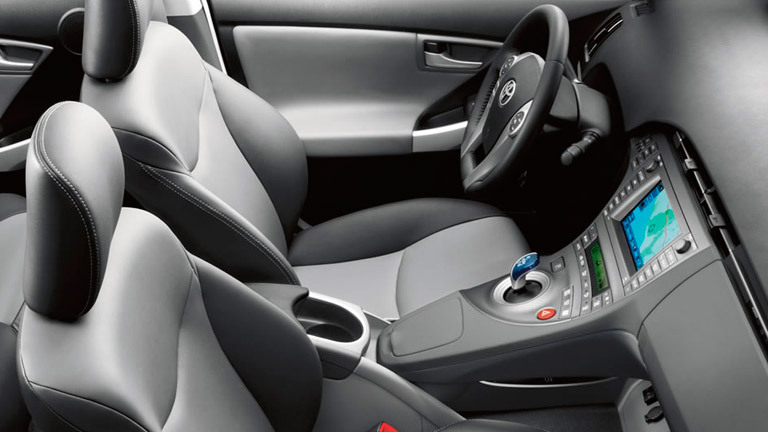 Check out the other safety features in the 2015 Toyota Prius today at Attrell Toyota by scheduling a test drive! Get the 2015 Toyota Prius in Brampton ON today at Attrell Toyota! 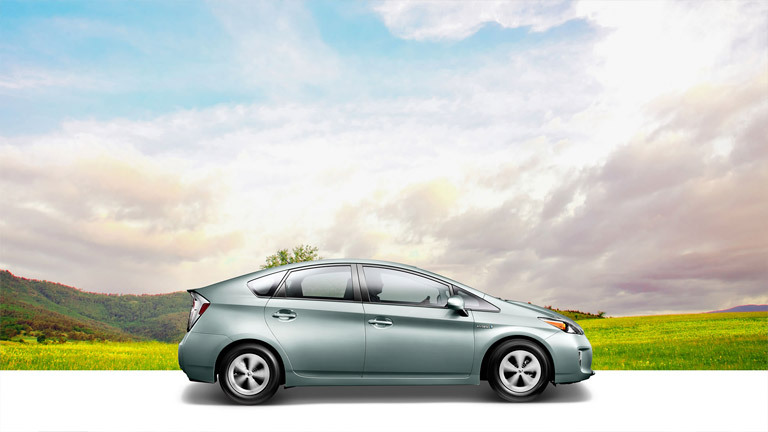 Drivers looking for an efficient, safe affordable vehicle won’t find a better one than the 2015 Toyota Prius. It has everything drivers could want in a new vehicle, and more. A few of the features that manufacturers and designers added just for fun include an illuminated front foot area, regenerative braking, remote air conditioning that can be started with just the touch of a button, dynamic cruise control that automatically slows the Prius down if it comes within 15 feet of an object in front of it, as well as a Toyota Smart Key that allows drivers to unlock and start the vehicle so long as the key fob is within three feet of the Prius. For more information about the 2015 Prius, stop by Attrell Toyota today or give us a call at any time! We’re always excited to help you add another efficient member to your family of vehicles!